Charlestown�s location has shaped its growth. 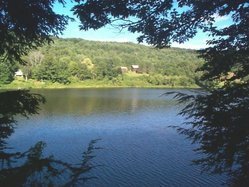 It lies along the east bank of the Connecticut River, minutes from Interstate 91 and easy access via route 12 to Claremont and Keene. Charlestown�s many residential neighborhoods have fostered a strong sense of town pride, while working to attract light industry and business. The rural history is still evident in a number of working farms.